FREE delivery to United Kingdom in 9 - 14 working days. A sleek and contemporary addition to any home or professional space, the Leaf Table Lamp series comes in four soothing colors. Wipe off dust with dry cloth. If necessary use moist cloth, then dry off. Do not use abrasive cleaning agents. 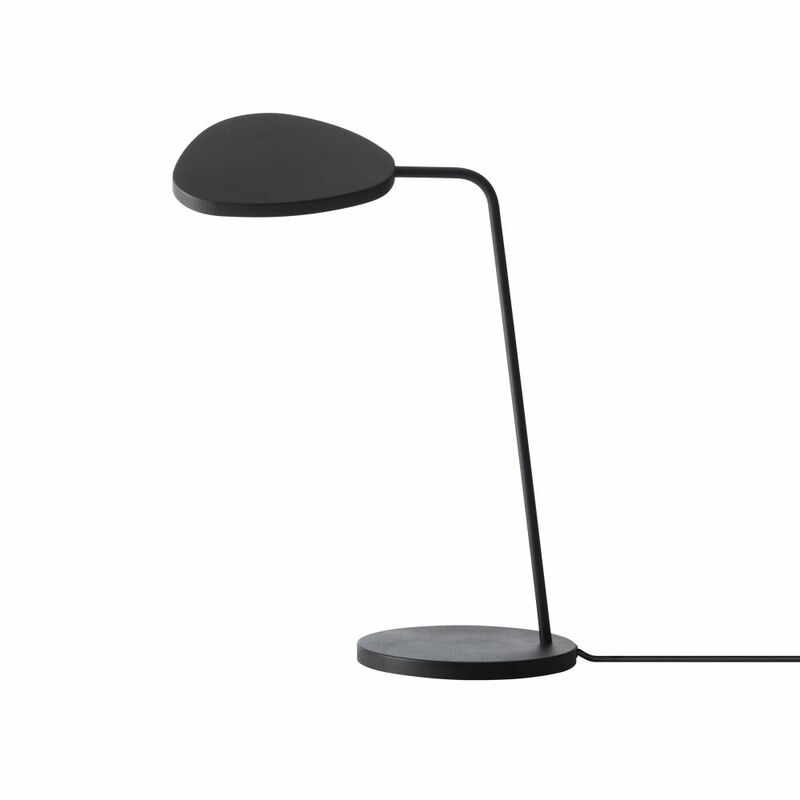 With dimmable LED light and a stylish yet unobtrusive body, the Leaf Table Lamp is an easy match with your desk, bedside or any table space. Its shape is inspired by the leaves of a tree where the quiet and gently curved head changes shape as you shift it according to your needs. Broberg & Ridderstråle are Swedish design and architectural partners. Their work combines aesthetic rationality with a touch of humor and wit. Mats Broberg and Johan Ridderstråle have both graduated from Konstfack University of Design with honors and have been awarded the Swedish Art Council’s working grant. Their work has successfully been exhibited in Tokyo, Milan, and London. In fact, our name Muuto, inspired by the Finnish word muutos, means new perspective.